In Kirtland, Ohio, the Prophet Joseph Smith received a revelation. The Lord told him, “Draw near unto me and I will draw near unto you; seek me diligently and ye shall find me” (D&C 88:63). One way we can draw near to the Lord is by following His prophet. 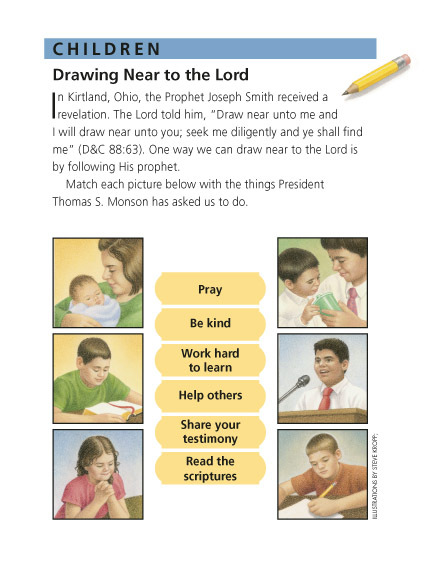 Match each picture below with the things President Thomas S. Monson has asked us to do.